Trainer Michael Costa is looking to Malahide to step up at Doomben on her way to the Magic Millions. 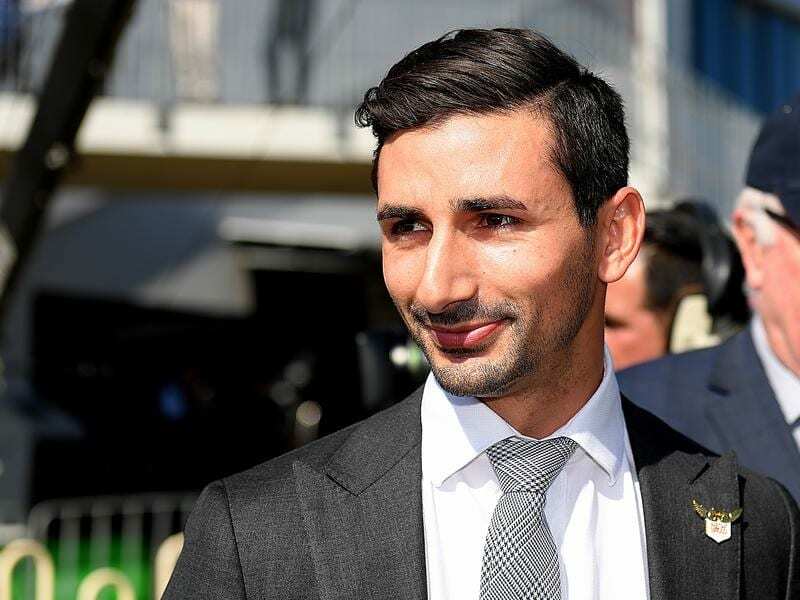 Gold Coast trainer Michael Costa has had nine winners in November and will produce potentially his best horse to start the new month at Doomben. Costa has established himself as a rising star of Queensland racing since moving north from Warwick Farm in Sydney 2-1/2 years ago. He has consistently maintained a better than 20 per cent win strike rate but admits he needs a headline horse to take the next step in his career. Costa hopes that horse is Malahide who tackles the Listed Mode Stakes (1200m) on Saturday. Malahide is unbeaten in two starts as a two-year-old and ran third in a recent Gold Coast trial. “She beat older horses at her first start and then won a $175,000 race at Doomben,” Costa said. Malahide is a daughter of Cox Plate winner Shamus Award out of unraced mare Lady Millions and Costa paid $85,000 for her as a yearling. Costa believes she will be suited by the 1400m of the $2 million Magic Millions Guineas on January 12.